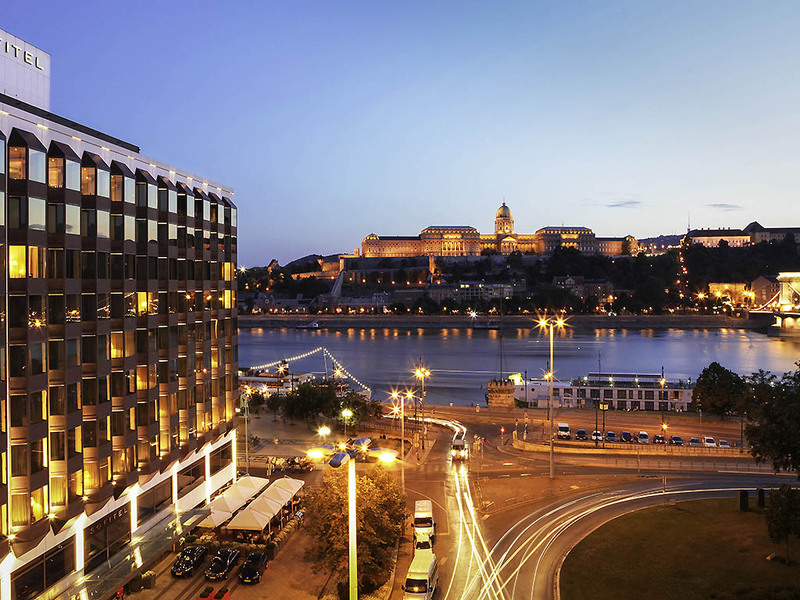 Sophisticated French design - a Swarovski Water Fountain, original art, an airplane suspended from soaring ceilings - merges with high technology and personal service to create one of the best hotels in Budapest for the business or leisure traveler. Room was very nice and well maintain, though finding power outlets was a challenge in my room. Breakfast and lunch meals were excellent! Location was very nice and staff met most needs quickly. The room, bed and facilities were very convenient. The staff are very polite and efficient. The swimming pool is excellent. The hotel's location is perfect. Well organised hotel, friendly staff; fantastic views from river side rooms. Check in was efficient; we were early, but hotel took care of our luggage while we had lunch. Our room on the fifth floor (518) was fantastic - we were blown away by the fantastic view across the river to Buda Castle. Breakfast was extensive and well organised. The small plates lunch we enjoyed on the terrace was delicious and well priced. Only criticism was although there was a wide array of teas and coffee in the room; there was no milk. When we requested milk, little pots were delivered to the room; as were any tea bags we ran out of. On our last day, hotel printed off boarding passes, looked after luggage and booked our taxi for the airport. Throughout our stay all staff were polite, charming and helpful. right on the river and the Viking cruise boat. No buses required to board the boat. Every member of staff we met was extremely pleasant and very helpful . They were very well trained, always had a smile in spite of having to answer a series of obvious questions so many times. Our luggage did not arrive with us and the staff could not have been any more helpful and let us know immediately it arrived. The hotel has beautiful views of Castle Hill and the chain bridge. Hotel staff was extremely helpful, they stored our luggage as we arrived earlier than check in time. Rooms were ok.
ONE CHAIR IN ROOM FOR 2 PEOPLE! APART FROM CHAIRS NOWHERE TO RELAX EXCEPT FOR BED. TOO HOT AT NIGHT - BEDS UNCOMFORTABLE ROOM VIEW GREAT! the location is great and the very warm welcome from the staffs made the stay a wonderful experience. Stay was good, nice spacious room. Bed was far too comfy. Reception who checked us in was not friendly though. But all the concierge at the entrance was very friendly and full of courtesy all the time. Rooms were beautiful overlooking the Danube. Service was excellent. Breakfast was amazing. Enjoyed the stay with my team at this hotel. Food was excellent, very good service and attention to our needs. Remarkable view. great service, great location, room view was beautiful! The common spaces were beautiful - modern and updated. Lobby staff and bellmen were good. The room was tired, worn and very dated. Restaurant was overpriced, drinks were poor, and the service was mediocre. Unless there is a major remodel we wouldn’t come back. The room was fine. However, the carpet was old and had stain. When we sat on the sofa, we almost fell in as the cushions were very old and provided no support. In the bathroom there was no shampoo. There were two bottles of conditioner but no shampoo. I expect more from a hotel that claims to be a four star hotel. My husband and I had a nice time at the Sofitel we would love to come back and stay with you again. We had a great stay. The view of Budapest from our room was stunning. Hotel staff were very helpful and pleasant.